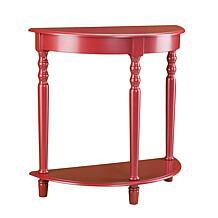 Twinkle, twinkle design star with this antique-by-design accent table. 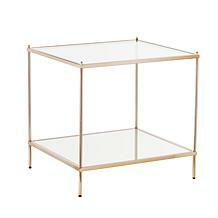 Aged gold frame encapsulates mirrored tabletop, and starburst theme defines authentic midcentury modern style. 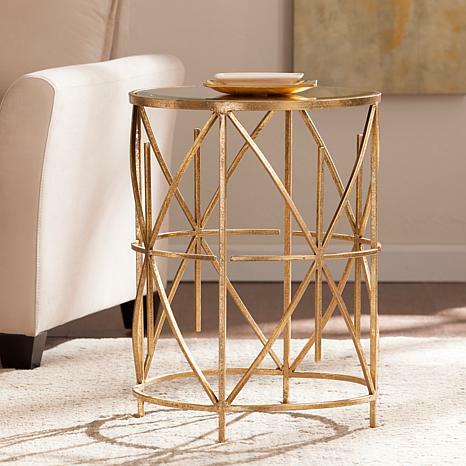 Transport your décor to the glamorous side of mod with this accent table bedside, in a living room, or nestled in your reading nook. 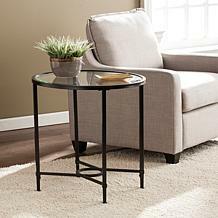 Antiqued finish will vary piece to piece for authentic look. 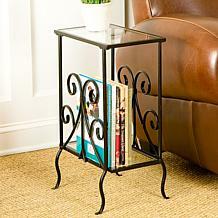 Maximum Weight Capacity: Supports up to 40 lbs.